Serve your way to success! At eighteen months old Manny was left abandoned in a car with nothing but a diaper on. When the proper authorities had finally been called, it looked like Manny and his sister had been left in the car for days on end with no food, no water, and no family. 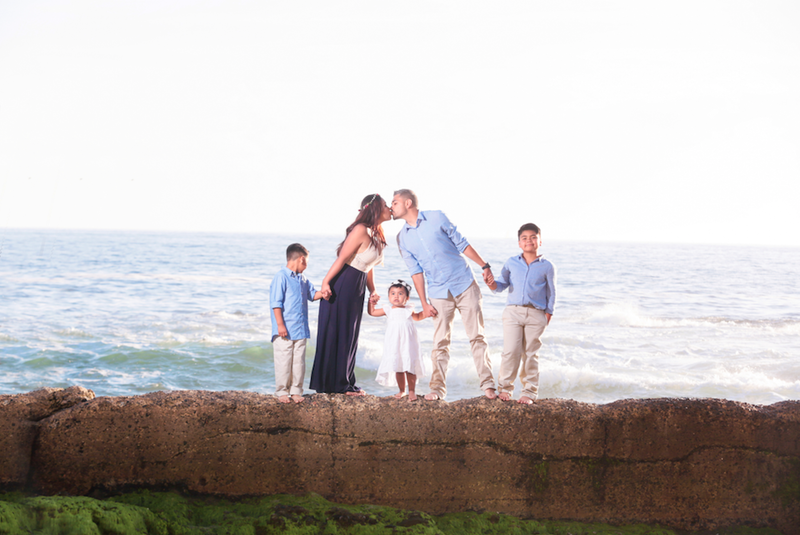 Without a family to go home to, they were put into foster care. Manny and his sister were adopted and returned seven times before finally finding a home they could grow up in. Through these seven homes, they were beaten, left outside like animals, not fed, and to this day Manny has a scar on his chest from having a cigarette put out on him. All of this left so many limiting beliefs and led Manny to be lost by the time he was in his twenties. But this all changed when Manny found a mentor. Around twenty years old Manny was introduced to the world of mentorship and entrepreneurship. Through time, personal development, and mentorship Manny began to find himself again and was ready to start a business. Around 2008 Manny decided he was going to be Redbox’s main competitor, he purchased a DVD kiosk and quickly learned that was not all it takes to become successful. Without the knowledge of marketing, scaling, or how to build his new business, it quickly went out of business. But in entrepreneurship, there is no such thing as failing as long as you learn from it. Manny was not deterred from his new found path of entrepreneurship. With time, training, and dedication, he started his second company, that to this day is a model of success. The more that Manny built, the more he realized he was serving. Soon Manny found himself working with some of the biggest players in the game. He was helping Les Brown build an app that would generate him over one thousand speaking opportunities. 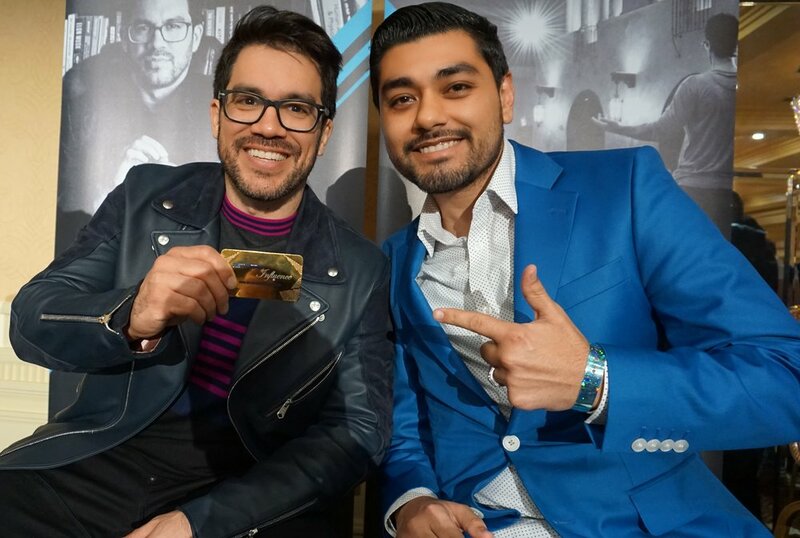 Next, he collaborated with Tai Lopez by becoming a teacher in Tai’s entrepreneurship courses, teaching Tai’s students how to sell mobile apps to small business owners and partner with Manny’s app development agency to provide the fulfillment. Manny has experienced so much success through merely serving others. One thing he started to notice was how often he was being asked to speak at events, but more often than not Manny’s time would be cut last minute. With an hour of material to cover, and only twenty minutes to deliver as much value as possible, he felt like he could give so much more. This was when Manny decided to start hosting his own events. Where he could serve his crowd as much as he possibly could. But the serving didn’t stop there! This is where ServeX was born, today you are experiencing this amazing event that will help to elevate your business and to build a better humanity by learning to serve your way to success. ServeX also is a fundraising arm for From Orphan to CEO, where one hundred percent of the ticket sales and sponsorship booths benefit From Orphan to CEO. Manny serves so many people and aims to change a system that has been instilled for decades in the United States of America. Statistics say that two out of three kids that age out of the foster system will end up homeless, in jail, or dead within one year of turning eighteen. That's not all though, seventy percent of the prison population has been in foster care, and ninety percent of death row inmates are from foster care. This is a system that is designed to give children that don’t have a family the opportunities others have. Manny has taken it upon himself to be the change that he wants to see in this system. This is where From Orphan to CEO was formed. This amazing non-profit helps give kids in foster care the information they need to find the best mentor for their new business! That’s right, their new business, that is realized by going through Manny’s School of MANNYfestation: School of Business. This business school shows students everything they need to build a tangible business, if they take action. Once they graduate Manny’s company builds an app to automate and monetize their new business! But that isn't all! Once they have launched they get full access to Manny's Networks of Influence which allows access to everything they need to succeed! 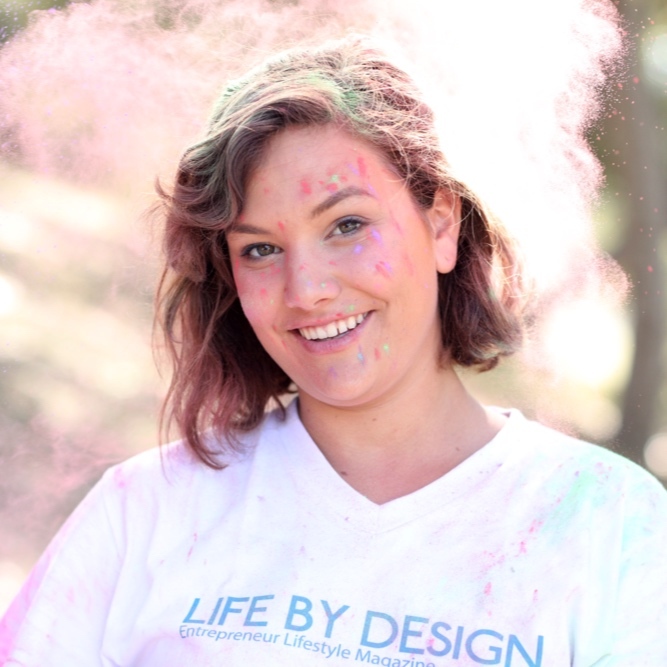 From Orphan to CEO, even though it is only a year old, has already provided over one thousand scholarships to students aging out of foster care to start their own business. By helping change these statistics, Manny believes that we can improve our entire country. Cutting down on crime and building a community of serving to reach success! 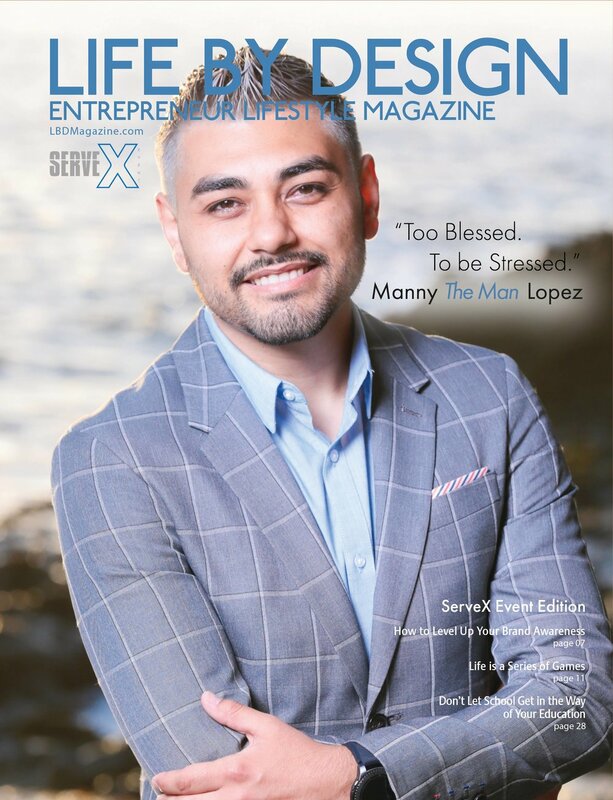 For this Special edition of Life By Design Magazine, we wanted to give a special thank you to Manny Lopez for taking action, and showing people everywhere that you can indeed serve your way to success.